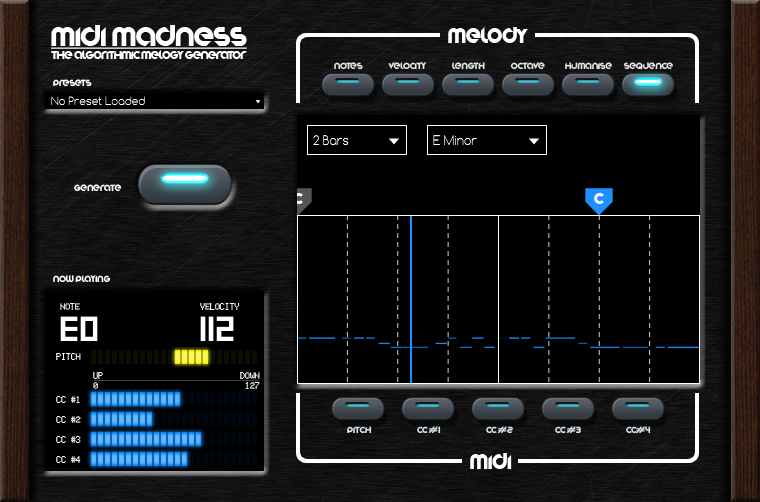 MIDI Madness 2, MIDI Plug-in from MIDI Madness. MIDI Madness employs algorithms to generate MIDI melodies in real time. You can choose the notes you want or pick preset chords (with suggestions to match the key of your sequence), and then select velocities, note length, tone range (to generate bass lines or screaming leads), you even get a humanizing function for groovy riffs and controls for curve, pitch bend and automation of 4 MIDI parameters. MIDI Madness will then compile all these settings and generate the sequence in real time, you’ll only need to drag and drop the result to your DAW. Version 2 (v2.10 actually) adds VST and AU plug-ins to Mac OS X, 32 and 64-bit on both Mac and PC, a Live Play mode that allows for listening to project tempo synced riffs in real time and route them to any of your synths (VST only). 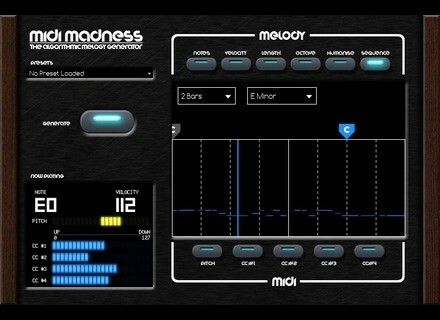 MIDI Madness is available for £49.99 and, also new, you can download a trial version from midimadnesssoftware.com. Bremmers upgrades MultiTrack to v8 Bremmers Audio Design has released a major update to its MultiTrack DAW, which is now in version 8. Opho helps you learn to play keyboards Incident Technologies, creators of the gTar MIDI guitar with LED fingerboard, have opened a new division to port the learning concept to a keyboard. AcousticsampleS Uku for the UVI Workstation AcousticsampleS has releases a new sample library fully dedicated to the ukulele for use in the UVI Workstation 2.